At Cherryland, we know what we do best. And that’s deliver affordable power right to your doorstep. We are a distribution cooperative. Our main job is to maintain the system that moves power from substations within our territory to the 35,000 meters that serve our members. When it comes to generating and transmitting power across the state, we leave that to the experts at Wolverine Power Supply Cooperative. Wolverine is a cooperative just like Cherryland. They are owned by several distribution cooperatives around Michigan. The Wolverine board of directors is comprised of representatives from the distribution co-ops. That means two of the directors you elect to represent you on Cherryland’s board also represent your interests on the Wolverine board. The experts at Wolverine generate power and purchase power through contracts with other utilities. They then transmit that power across a vast electrical grid to the substations that serve each of their distribution members. Today, Cherryland leads Michigan with its renewable and carbon-free energy portfolios. Our members are served by energy that is 62% carbon-free, of which 19% is from renewable resources. And it continues to grow. From Michigan’s first utility-scale wind farm to Michigan’s first community solar array, we are committed to finding innovative ways to source energy that is not only clean, but also reliable and cost-efficient. The first time Cherryland partnered with its members to promote solar was in 2013 when they formed the Solar Up North (SUN) Alliance. The overwhelming success of that partnership led to the construction of Michigan’s first community solar array. Today, we continue to give opportunities for our members to play a part in solar energy with our current solar offerings. Cherryland started getting its wind energy supply in 2007 from the Harvest Wind Farm. 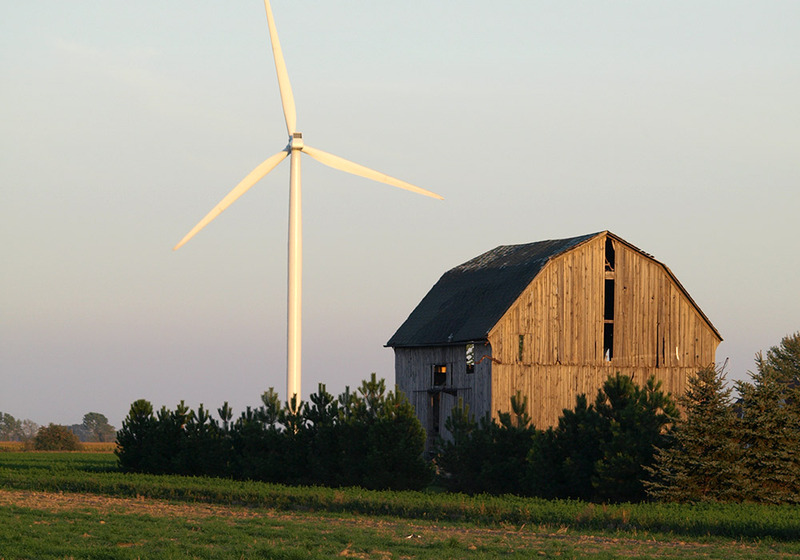 Located in Michigan’s thumb, this 3,200-acre project was the first commercial wind farm in the state. Fast forward to 2016 when our wind energy supply was greatly stepped up by the Deerfield Wind Farm, a whopping 20,000-acre project also located in the Thumb. This addition more than quadrupled the wind energy in our portfolio! And we aren’t stopping here! We are always looking for new opportunities to add more wind to our energy portfolio. And so can you with our current renewable energy programs! For more information about Cherryland’s power supply, check out our Fuel Mix and Emissions Data and Renewable Energy Annual Report.